Because children’s lives are in your hands, it’s important to craft a babysitting resume that makes parents feel reassured. Start off with your certifications and specialized training. You can include this information in your summary statement. In your work history section, share the ages of the children you’ve supervised and note the length of time you worked for the families. Have special training, such as CPR? Include it under the education tab, as it could help you edge out the competition. Need more help? 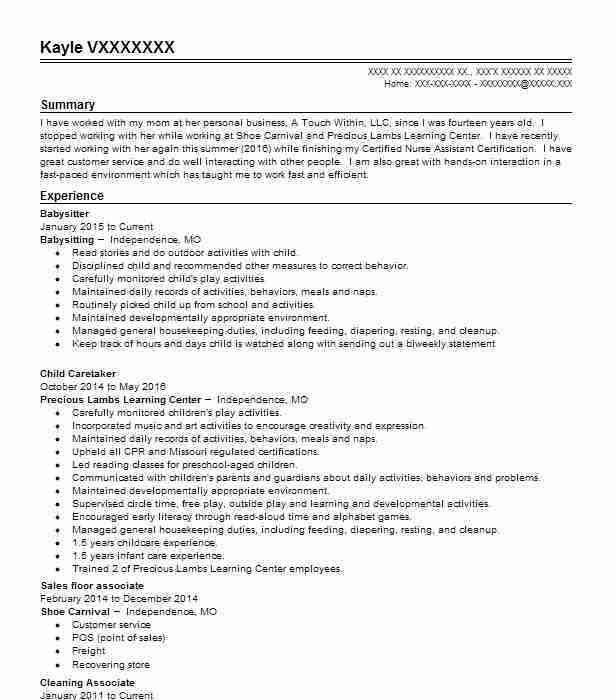 Read the babysitter resume example for ideas on making your resume shine. Looking for work as a babysitter? You’ll need to be responsible, have quality references, and you should also have a resume. 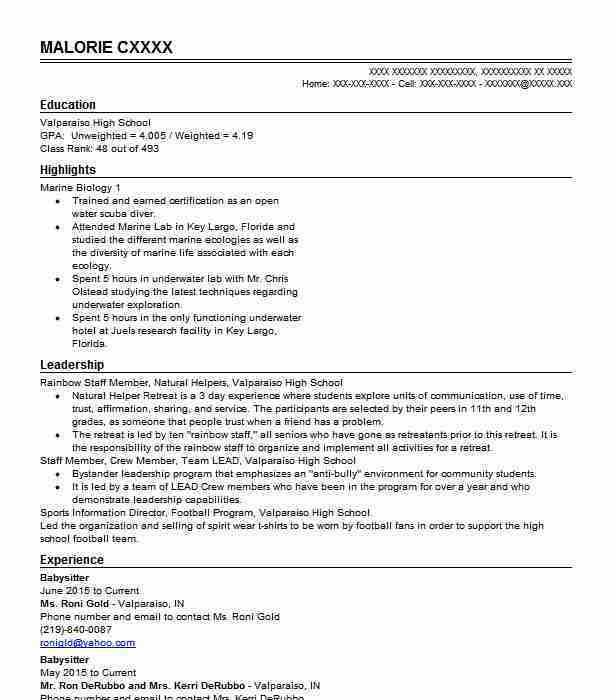 These resume examples can help you create a resume that you can bring to any job interview. 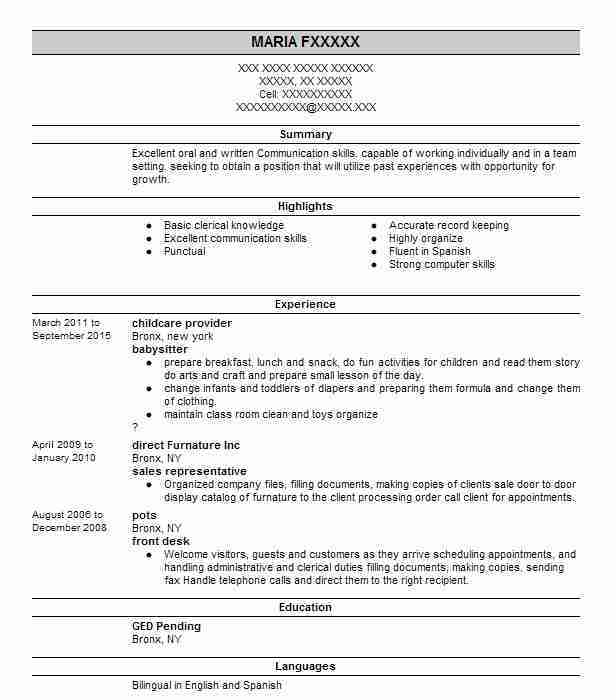 Use these resume examples as a starting point, and update the sample text to fit your personal situation. 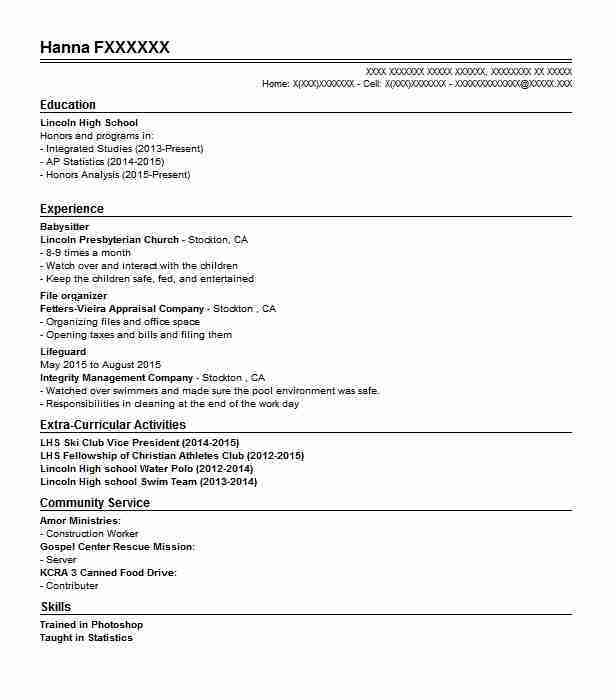 Choose from multiple resume templates below. 1. Think about your skills. Before you can figure out what positions to apply for or what information to put on your resume, you have to think about your skills. Think about the skills you have gained, the ones you want to keep using and the ones you would rather not have to use anymore. 2. Get organized. Once you know what you’re looking for, it is time to get ready. Come up with some sort of organization method to make your job search easier. You can put your information in a spreadsheet or in a daily planner to keep track of where you have applied and what companies you have heard back from. 3. Use different modes of communication. As you look for jobs as a babysitter, it is easy to get in a rut. Using different modes of communication, such as email, in-person, phone calls or mail, can help you feel accomplished and make distinctions to avoid the rut. 4. Get informed. Information is the key to a successful job hunt. You need information about yourself, different companies, other positions, new industries, networking, resume writing, job searching, salaries and so much more. As you look for opportunities you need to make sure that you are informed. 5. Be unique. In today’s job market you have to find ways to make yourself standout. Promote yourself in a way that only you can. Send thank you notes that are well thought out and personal. Be a unique job candidate to help yourself stand apart from your peers. 1. No matter how much experience you have and no matter if it is relatable to the job in question, focus on transferrable skills to show the hiring manager all that you are capable of. 2. Organize your information in a way that will appeal to the hiring manager by putting your more recent experience towards the top. 3. Include important information about your experiences, accomplishments, education, credentials and anything else that makes you right for the job. 4. Avoid sharing redundant information, which means that you should not include your high school education unless you are in high school or you have no college experience. 5. Make your own format design to ensure that your resume stands out from the resumes that use the same template design. Caring high school student with proven proven responsibility on the job and in academic matters. Volunteer work and a summer lifeguard position have provided knowledge in CPR First Aid customer service and problem solving. All of these are skills that are useful for a Babysitter to possess. Monitored safety of swimmers and all customers utilizing the New Parkland Pool. Enforced pool policies on safety and activities. Maintained certification in CPR and First Aid. Assisted in the after-school program for elementary-aged students. Assisted with homework played games and monitored behavior. Brought discipline issues to the attention of the Program Facilitator and assisted in carrying out consequences. There are plenty of opportunities to land a Babysitter job position, but it won’t just be handed to you. Crafting a Babysitter resume that catches the attention of hiring managers is paramount to getting the job, and LiveCareer is here to help you stand out from the competition.